New chief selector and former Captain of Pakistan cricket team Mohsin Hasan Khan has said that one of the reason of Pakistan's bad performance in ODI and Test Cricket is T20 cricket. 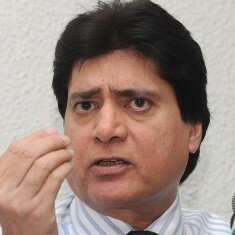 Mohsan Khan has said that ODI and Test cricket needed to be keep away from T20 to improve the performance of the team. Mohsin Khan said that it is due to T20 that Pakistan has started performing so poorly and even not able to play 50 overs in ODI completely due to T20. Mohsin Khan is recently become new chief selector of Pakistani team.